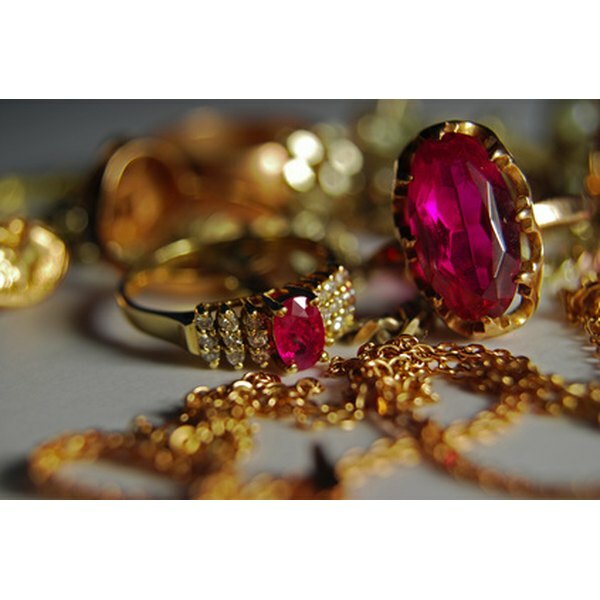 Clean your gold jewelry with a homemade cleaner. 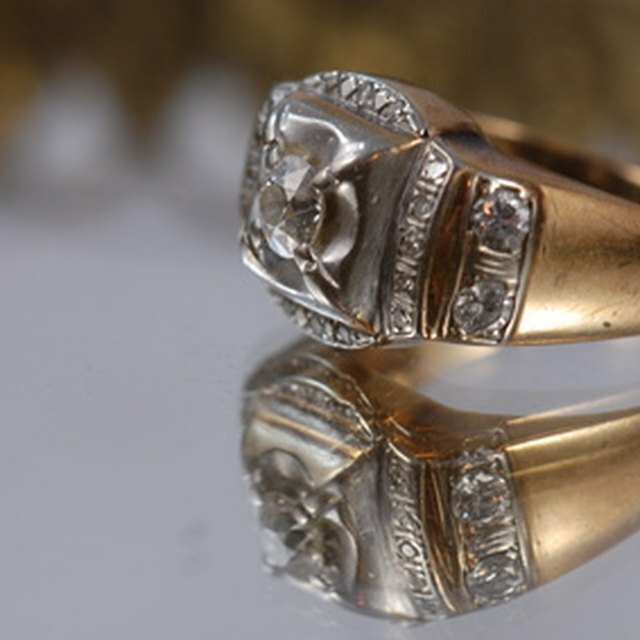 Gold jewelry needs cleaned at least once a month to keep it clean. If you do not clean your gold jewelry, it will begin to look dull due to perspiration, health care products and cosmetics. You can save yourself money by making your own homemade gold jewelry cleaner with natural products. You must be careful when cleaning valuable gold jewelry on your own. Pour warm water into a bowl. Use a thermometer to check the temperature. The water needs to stay between 100 to 110 degrees F.
Place 1 tsp. of liquid dish soap into the bowl. Add 1 tsp. of ammonia to the same bowl. Soak the gold jewelry in the solution. Submerge the jewelry for 30 minutes. Use a soft bristle brush to clean off grime that does not come off from simply submerging the jewelry. Rinse the jewelry under cold water. Set the jewelry on a clean towel. Use a soft and non-abrasive towel such as cotton to prevent scratching the gold jewelry.